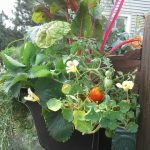 Successfully grow various kinds of lettuce, radishes, herbs and dozens of other vegetables...along with a myriad of annual flowers using the 8-inch wide Gutter Garden™. 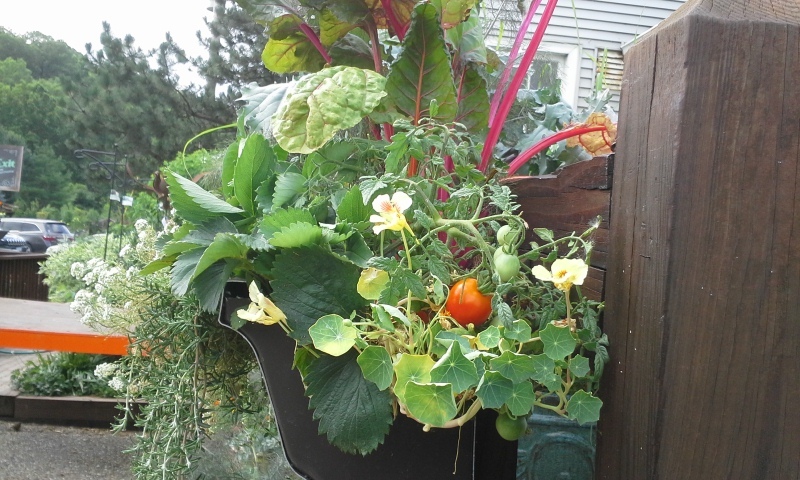 This size Gutter Garden™ is .040 gauge aluminum with a growing depth of nearly 6". A food-grade product is used to seal the riveted end-caps to prevent solvents from leaching into the potting mix and root system. Since Gutter Gardens™ are made from a non-porous material, they don’t need watering as much (but you still have to water them 2-5 times a week depending on the weather and the plants/location you select). This larger size contains 3 time the potting mix as its smaller 6" wide sister, so the volume alone suggests that it does not need watering as often. In case you are confused about which size to get, take a look at the pictures throughout this website and on our FaceBook Page and 95% of the pictures are of 6" wide Gutter Garden™ planters. 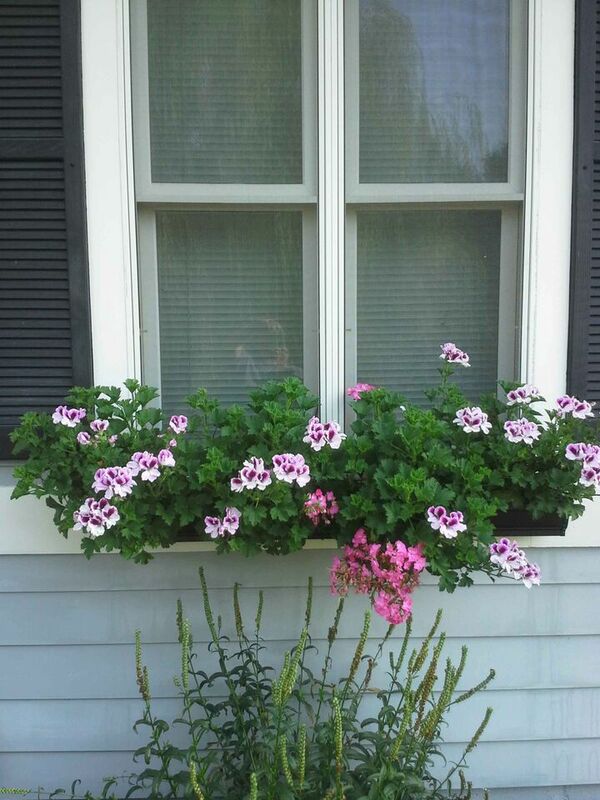 So, be confident that the 6" wide will be satisfactory for most container planting of annuals. 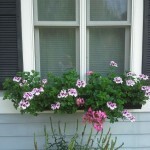 Because window boxes are sometimes more difficult to get to for watering (and there is often an overhang that prevents getting rained on), we recommend using the larger 8" wide Gutter Gardens™. Hardware includes stainless steel screws (for installation into wood framed windows) or tapcons (for use with brick/mortar window sills). Also included is a gutter bracket for each 18"-20" length and enough washers for the number of screws you receive. Using 8" wide planters made from rain gutters is a unique way to garden while standing up. Many apartment complexes do not allow residents to attach any thing permanent...so the cable tie system is an excellent way to attach planters of any size without damaging the surface of the railing. You may want to order extra zip/cable ties at time of purchase as they cannot be re-used. You will receive enough to hang your garden once...but if you decide to move it to a different location, the ties are not re-usable. The screws you use to mount your Outdoor Gutter Garden are reusable. If you plan to ship more than one Gutter Garden™, or would like extra hardware...please email us or call us toll-free at 855-USA-GROW prior to your purchase and we will do our best to combine boxing and shipping. Some products can be 'nested' inside others to save shipping cost. Gutter Gardens™ does not profit from shipping or handling.